Alumni share news and updates in this report, keeping the IWS community connected. “2018 was a year of travel and ministry. As a Teaching Fellow at B.H. Carroll Theological Seminary, I was afforded the opportunity to travel to Camaguey, Cuba in April to teach a course on the History of Christian Worship to 35 Cuban pastors and worship leaders. Then, my worship team led weekend worship conference in Ellensburg, Washington in May, and in August, our Celebration Choir traveled with the choir from First Baptist Church, Alexandria, Virginia to Italy to sing concerts in Verona, Florence, Orvieto, and Rome.” Don is Worship Pastor at First Baptist Church in Woodlands, TX. 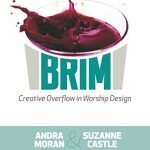 “Five years ago I co-authored a worship book called BRIM: Creative Overflow in Worship Design. My work at IWS helped me establish the framework for what I wrote and I’m eternally grateful. The 2nd volume is almost finished.” The book was featured by Phyllis Tickle, Worship Leader magazine (one of their top 10 picks of the year), and Christian Century. Visit Suzanne’s webpage. 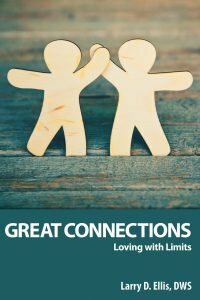 Larry has released his fourth book, Great Connections: Loving with Limits. In it, he discusses how to develop relationships that balance our connection with others while living independent lives not controlled by others. Larry analyzes a number of biblical characters who demonstrate either healthy or dysfunctional behaviors and also examines Scriptures that explain how to make wise choices and enjoy connected relationships. Phil and his wife serve as missionaries in Puebla, Mexico with World Partners. His primary role is to oversee and mentor leaders for the seminary program that trains national pastors and leaders in remote areas. He travels throughout south-central Mexico to help develop leaders. Since 1991, John has served as an Episcopal priest on the Standing Rock Sioux Indian Reservation in south central North Dakota. He continues the work of contextualization of worship and space In the three congregations through the use of the Dakota language, art, and developing a vestment design and sewing project to create indigenous-inspired church vestments. John is creating a dynamic equivalent translation of the Book of Common Prayer. His parish, St. James’, Cannon Ball, ND, recently installed prayer paintings of the Horsemen of the Four Directions in its worship space. John is designing a new Interpretive Center, Star Lodge, on the property of St. Gabriel’s at Red Hail’s Camp on Standing Rock, which will provide a facility for youth ministry, training, and lodging for a variety of programs including cross cultural ministry, indigenous rights and social justice. It will be completed by the fall of 2019. In the spring of 2017, John was awarded the Doctor of Divinity degree from Bexley Seabury Seminary. Frank has helped form the India Worship Trainers Coalition to help worship musicians and bi-vocational pastors in India receive basic training in worship leadership. This initiative will be introduced in July, 2019 in Bangalore at the annual meeting of the Asia Theological Association of Institutes in India. It is hoped that seminaries and Bible Colleges will host these one-week training sessions. 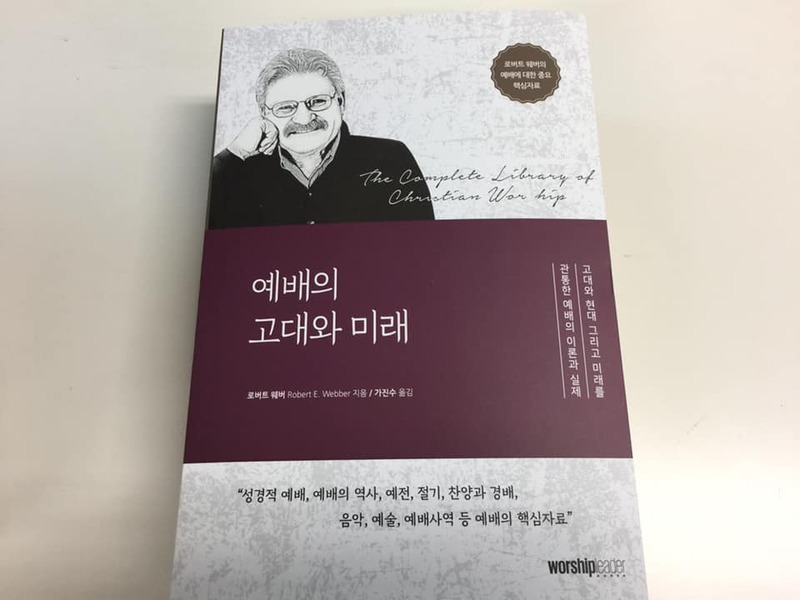 Ga has translated Robert Webber’s worship studies series into Korean. His desire is to impact worship in the Korean church, which has limited printed resources on worship. 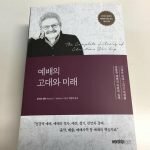 Most recently, he completed the publishing of Webber’s book, Ancient-Future Worship in Korean. What an incredible contribution to worship renewal! Ouida is a consultant in music ministry and worship for pastors and music leaders. She is currently on assignment in Detroit with Pastor Tellis Chapman, National Baptist Convention, USA, Inc.), and is preparing for a Music Ministry Leadership Summit later this year. Yat Hin serves with the Hong Kong Hymn Society, which recently began to create a Cantonese hymnal. Philip Chan, D.W.S. (Delta 2005) and Jade Wong, D.W.S. (Psi 2014) also serve on this project, which is expected to be published in late 2023. A worship symposium is planned for June 29-July 1, 2019 in Hong Kong with Dr. Lester Ruth and Dr. Swee Hong Lim as plenary speakers. The IWS community in Hong Kong will be actively involved in this symposium. “On December 31, 2017, I retired as Senior Pastor of Arlington Baptist in Jacksonville, Florida. I presently serve part-time as the Associate Pastor of Worship Arts at Southside Baptist Church in Jacksonville, the church where I previously served as Minister of Music for 18 years. 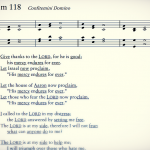 David recently completed and self-published The Twelve-Point Chant Psalter, based on a method of congregational psalm chant developed for his doctoral thesis. Last September, David had the opportunity to present the method at the Sing! Getty Music Conference in Nashville. Samples of these chants, additional psalm settings, hymns and compositions are available on David’s website. “An update from Worship is Life Ministries: I will be speaking at a 4-day camp for worship leaders in the Philippines in April. I am also serving as the professor for the Theology of Worship course for ministrystudiesonline.com. I am partnering with a friend of mine to published a book he wrote for ages 2-5 titled My First Worship. Tony relocated back to Atlanta, GA (August 2018) after spending a year as Visiting Professor of choral music at Texas Southern University in Houston (2017-2018). He now serves as part-time choir director/accompanist at Oakhurst Presbyterian Church in Decatur, GA, and remains on the staff of Johnson C. Smith Theological Seminary in Atlanta, GA as consultant for worship. He continues to serve as a conference worship leader, clinician, and worship consultant to congregations throughout the United States. Jeffrey serves as Director of Music and Fine Arts at First Presbyterian Church, Marietta, Georgia. In October 2018, his advanced adult handbell choir (Kirk Ringers) toured Mexico City and Puebla where they delivered CD players and a set of chimes to Mexico’s school for the blind, and partnered with the music ministry of Puerta del Salvacion Presbyterian Church. Jeffrey continues to study conducting with Geoffrey Boers at University of Washington. As a pianist, Jeffrey accompanies members of the ASO’s Talent Development Program, performs in the Church Street Trio and Cobb County School District’s LGPE. Dan serves as Associate Music & Worship Minister at the Dawson Family of Faith in Birmingham, AL. This past fall their orchestra presented The Story Concert to the residents of Brother Bryan Mission, which serves the economically, emotionally and spiritually imporverished in the Birmingham area. The concert utilized instrumental music, scripture and hymns to help teach the meta-narrative of scripture highlighting Creation, Fall, Rescue and Restoration and how God’s love connects them all together for a full relationship with him. Since completion of studies at IWS, Mike has traveled to over 125 churches across the denominational spectrum (including churches in India and Costa Rica) providing weekend training modules for worship leaders and teams. He established the Vineyard School of Worship in 2018, overseeing the initial coursework that equipped over 200 students in its inaugural year. Mike is also a contributor to Ministry Tech and worshiptraining.com. After almost 31 years of service at Mary Esther United Methodist in Mary Esther, Florida, Mike has taken a new position as Minister of Music and Worship Arts at Mountain Park United Methodist Church in Stone Mountain, GA. In September, 2018, Jeff assumed the position of Director of Traditional Worship and Arts at St. Luke’s United Methodist Church in Indianapolis, IN, where he leads the music staff and directs the Chancel Choir and orchestra. Please come and worship the next time you are in Indiana! In January 2019, Renée accepted the position of Worship Coordinator/Worship Leader for the Sunday morning interdenominational worship service at Vista Grande Villa, a large retirement community in Jackson, Michigan. Concurrently, her husband, the Rev. Dr. Dan Runyon, accepted the position of Preaching Chaplain at Vista Grande Villa. The Runyons rejoice that the Lord has provided an avenue to serve God together in a community of worship. “My wife and I just celebrated our third anniversary. Over the last year, we have been transitioning our church to a unified style of worship. 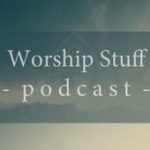 It has been a challenging journey for some, but many are connecting with God in deeper ways.” Brian is the Worship Arts Minister at First Christian Church in Columbus, IN.